Please find our April Schedule below. Special events are listed first, followed by details on regular programs. Email kagyudc@gmail.com for more information. We hope to see you at the Center this month! Lama Chödron is teaching on selected Sundays. The subject of her teaching will be "The Great Path of Awakening." Suggested reading: Jamgon Kongtrul, The Great Path of Awakening, Ken McLeod transl. We'd love to see you at KDC, but if you can't come, join Lama Chödron on your device. Email goldberg@umbc.edu for more information. Many of you have had the opportunity to be taught by Lama Chödron and know what an inspired and inspiring teacher she is. Read bio. 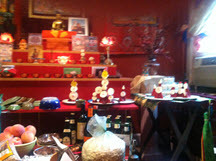 Follow Lama Chödron on her beautiful blog site: Click here. through her regularly scheduled Zoom or in person teachings. Other Lamas who are teachers also come to KDC. Click to read bios. we support those who are sick and who have died. "The Great Path of Awakening"
Please drop off non-perishable foods and warm clothing at KDC.Consider donating food and coats to the homeless who visit Shirley's Place Day Center. Non-perishable foods, especially comfort foods, such as frozen lasagna or mac and cheese, are much welcomed. Coats, especially in larger sizes, are too. All will be given to Shirley's Place Day Center, a drop-in center for our homeless Capitol Hill neighbors. (Read more) Shirley's Place is run by social service arm of the Capitol Hill Group Ministry, to which KDC belongs. Kagyu Drupgyu Chödzong is a Tibetan Buddhist Community in Washington, DC. We are located at 1519 D Street SE, Washington, DC. For more information, including directions, please visit http://www.kagyudc.org/. 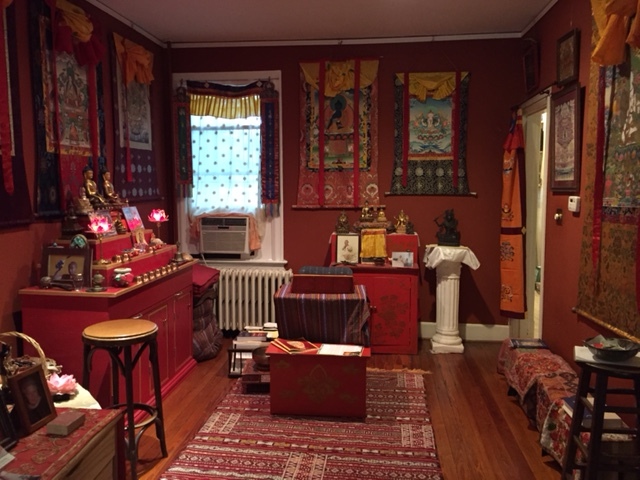 a Tibetan Buddhist Community in Washington, D.C.
Kagyu DC maintains a dharma center on Capitol Hill in Washington, D.C.
and scholars and an ongoing lecture series. See Events for current listings.